If your horse refuses to go forward when you're leading him, lifting his head, backing away and maybe throwing in a mini rear, it can be really frustrating. Here's what you can do to get him moving. There could be an aspect of his environment that he's negatively associating with leaving the paddock or stable block. 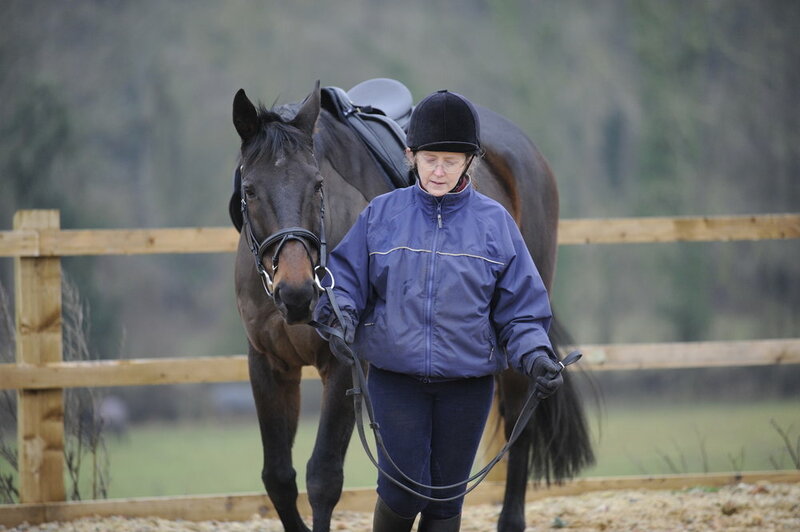 Horses are highly sociable and have acute senses so they see, hear and feel things differently to us. Try to find out what the cause is. Does he not want to leave a friend? Or is there something in the stable block that worries him and he's reluctant to go in there? If it's safe for you to do so, the moment he plants his feet, immediately turn him in a small circle that's about 5m - 10m (whatever is comfortable for him). If he persists, add another circle every time he plants his feet. Faced with harder work, he'll choose to walk forward instead. In-hand exercises build communication and trust, so practise them.